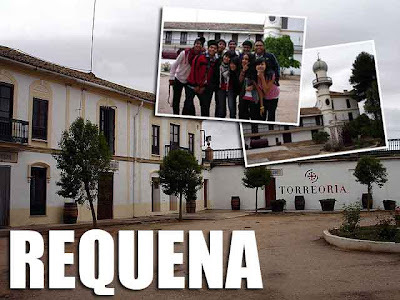 Requena gave us a glimpse into the wine culture of Spain. It is a municipality in the Valencian comarca of Utiel-Requena which is said to have a viticulture tradition that is more than two thousand years old. 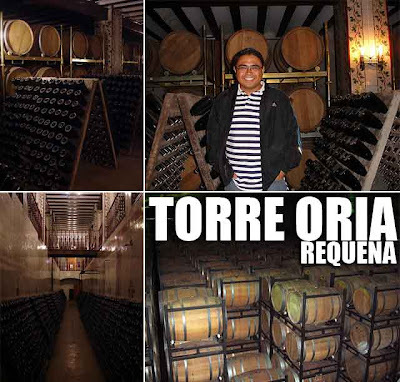 We visited the bodega or wine cellar of Torre Oria. Founded by the Oria de Rueda family in 1897, it's one of the most popular wine cellars in the Valencian Region and receives a lot of visitors. Tours are by appointment. Our visit started at the palace-house of the wine cellar designed by Jose Donderis in the early 1900s. The cava (champagne) and wine-making process was explained to us before we proceeded to the production room, cava tunnels, and barrel warehouse. But the highlight of the tour was the cava-tasting which sent all of us buying bottles to take back with us to the Philippines. After the tour, we proceeded to downtown Requena for lunch. Our host family had mentioned to us that the specialty of the place was chorizo and embutido so we made sure to order some. I was expecting the embutido to be the stuffed sausage we have here in the Philippines. 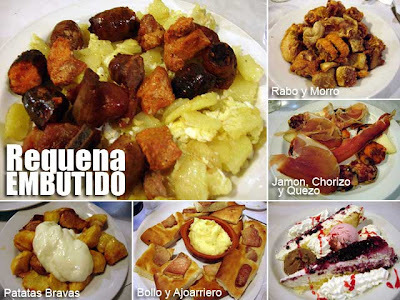 But in Spain, it's actually a mixed dish of potatoes, longganiza, chorizo, adobado and costillas.